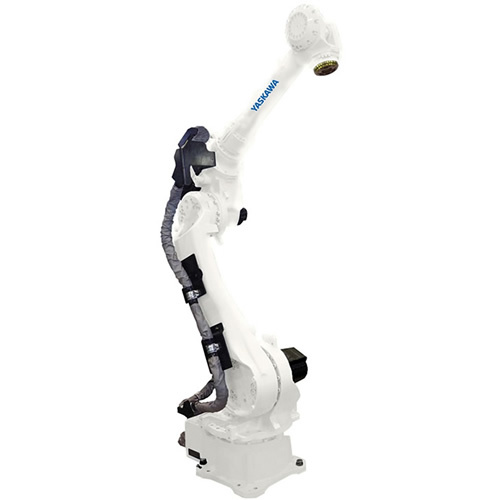 Our integrated packaging solutions are designed specifically around industry-specific requirements and are accompanied by application enabling software and vision capabilities. 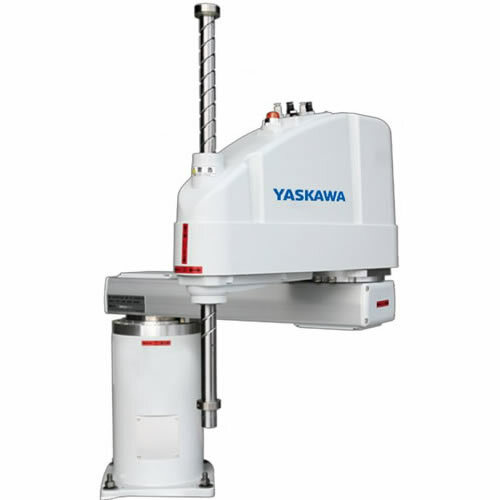 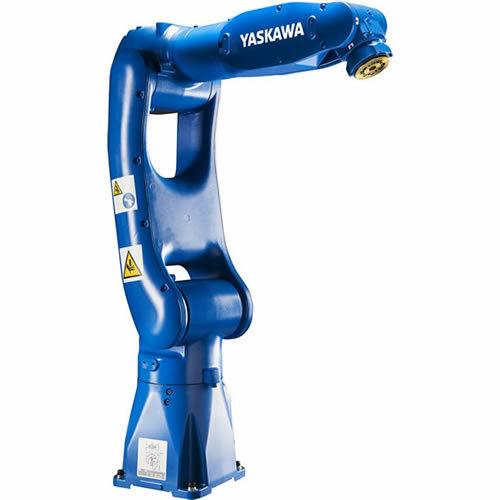 Yaskawa packaging systems bring ease of use, speed and flexibility to help you meet the demands of today’s food, beverage and consumer products marketplace. 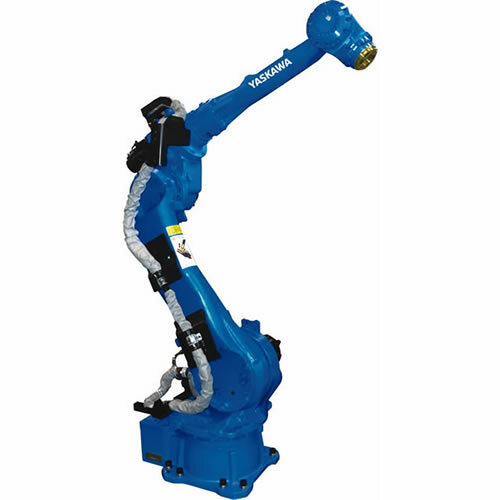 Articulated and delta robots can be combined with synchronized conveyor belts to perform high speed pick-and-place operations. 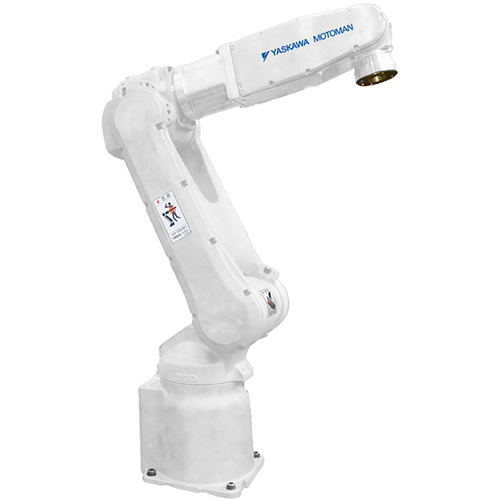 Multiple robots, vision systems and multi-part conveyors are coordinated by a common software solution for accurate product sorting and package insertion. 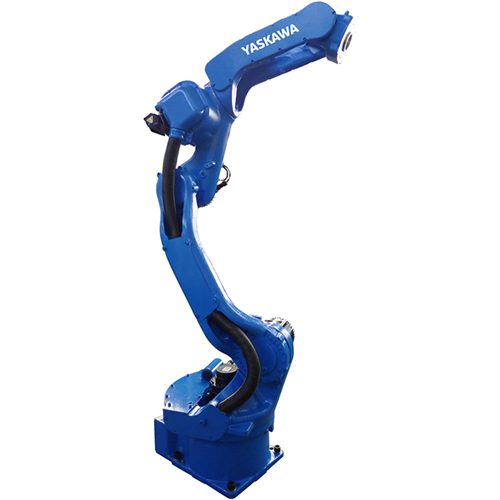 Flexibility is essential in high speed case packing. 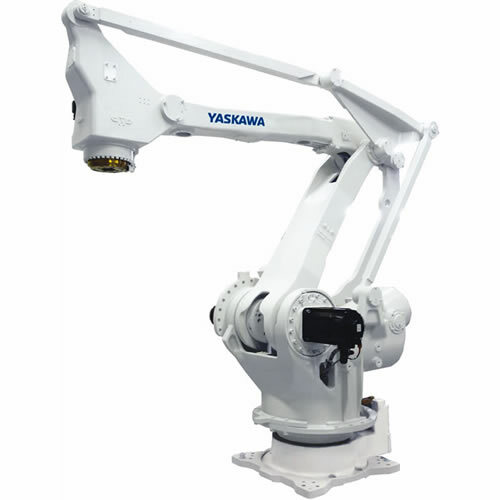 This means combining gantry robots, articulated robots and servo-driven motion automation into a system that uses all three technologies to their best advantage. 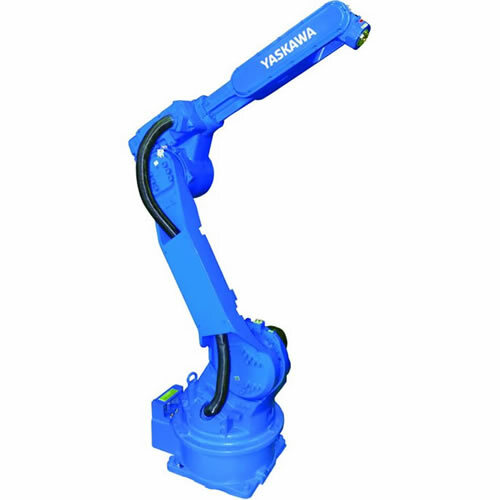 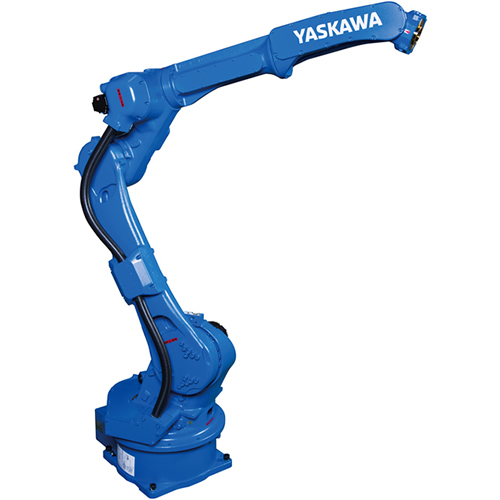 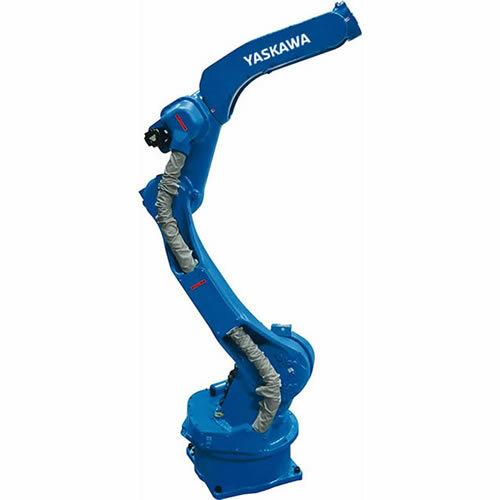 Yaskawa is uniquely equipped to achieve this goal, thanks to Singular Control™ (see Controls tab) capabilities that put robots, motion and drives to work under a single software package. 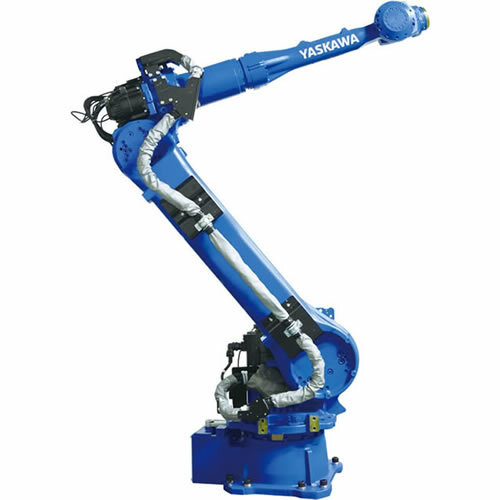 Design your ideal case packing application with gantry robots, then switch to articulated robots without the need for extensive reprogramming. 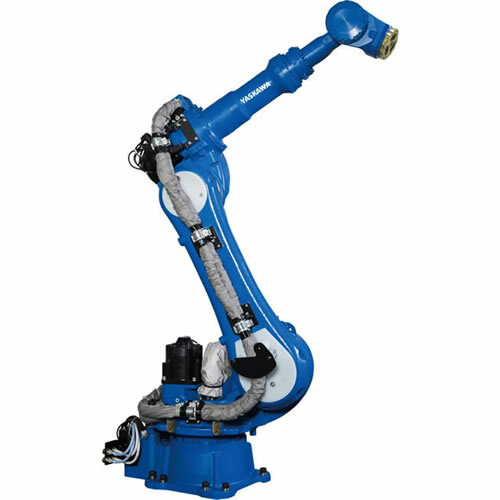 It’s all part of Singular Control, which eliminates the need for a separate robot controller and a specialist in robot programming. 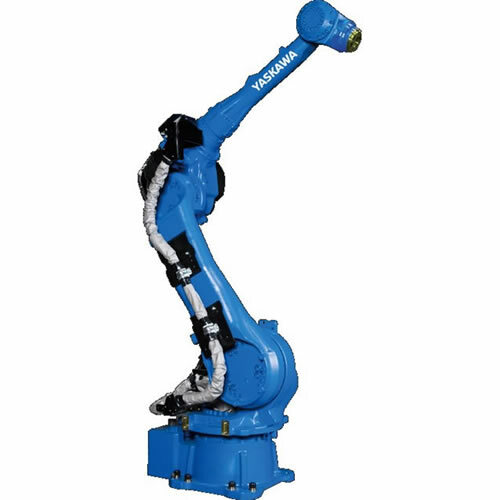 MLX robot control enables all programming to be handled from Rockline's existing PLC, using ladder logic - making the system more simple to program, operate and reproduce for other lines and locations. 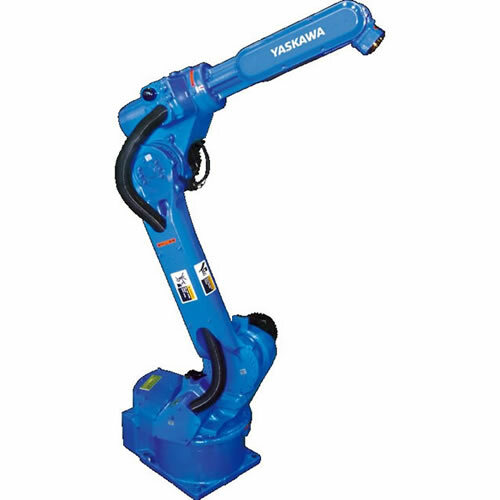 To aid with ease of use and faster application development Yaskawa Motoman offers suite of software technology such as MotoSight 2D and MotoSight 3D for vision integration, conveyor tracking for tracking and handling parts moving at high speed on multiple lines, and MotoPick software that combines the vision and tracking with built in part scheduling in case you application requires multiple robots synchronizing the operations for tray-packing, singulating and more. 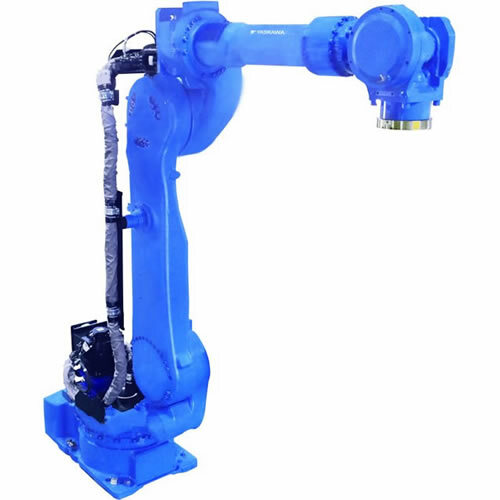 Robots, servos and drives work together seamlessly under Singular Control™ to boost throughput for three of the most critical applications. 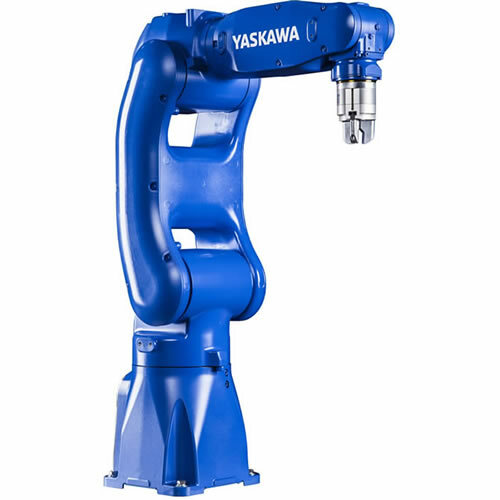 See this combined control of Yaskawa robots, servos and variable speed drives at work in our Singular Control automation demo, as dramatized by our Singular Control video. 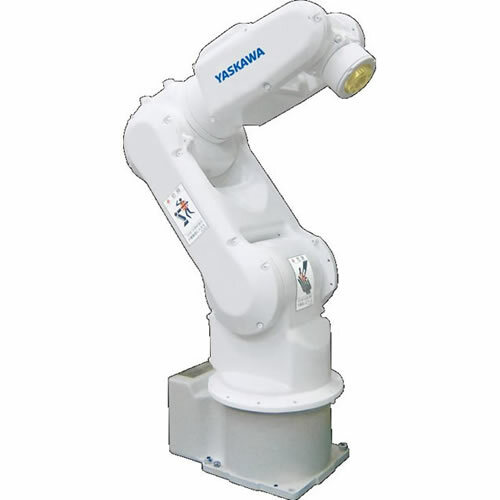 The MLX family of PLC integration solutions provides an interface that enables the programming and control of Motoman industrial robots with the widely accepted Rockwell Automation Programmable Logic Controllers. 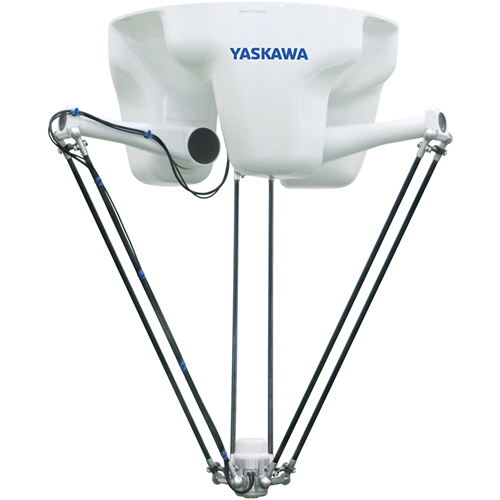 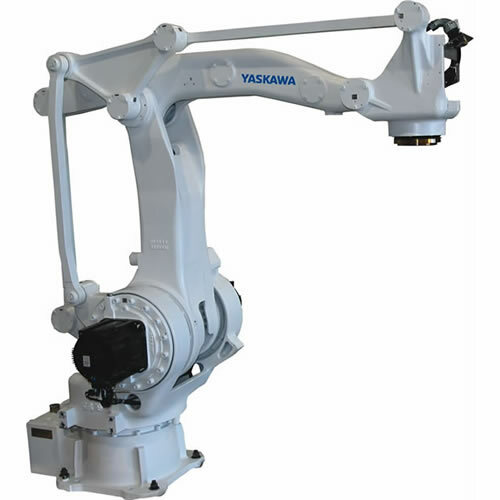 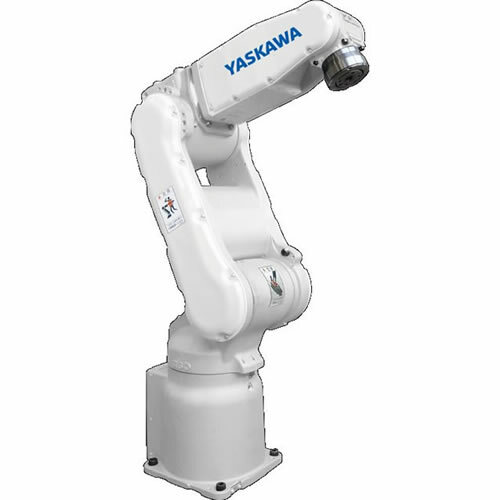 Yaskawa Motoman offers packaging robot models compatible with simple-to-integrate controllers, robust vision and powerful software products. 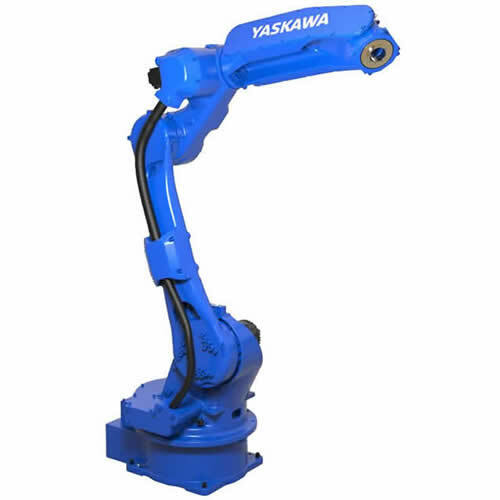 We provide the flexibility and reliability organizations need to compete. 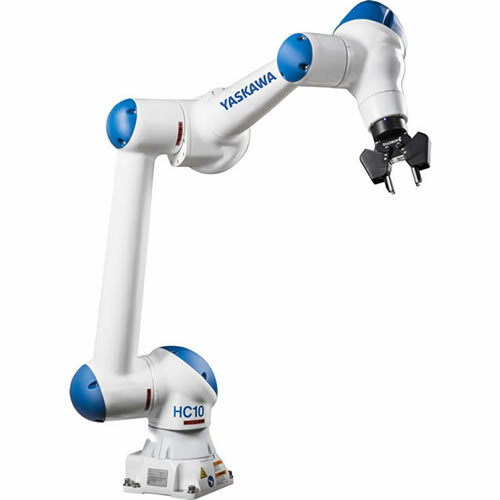 For high speed picking, collating, part-transfer, singulation, sorting and inspection robots range from 2kg payload capacity to 10kg with cycle-times as high as 150 cycles per minute. 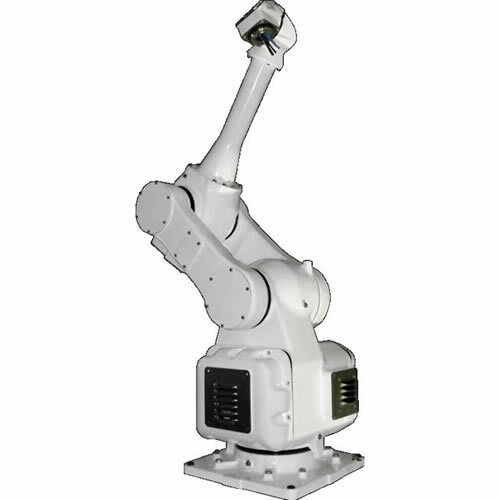 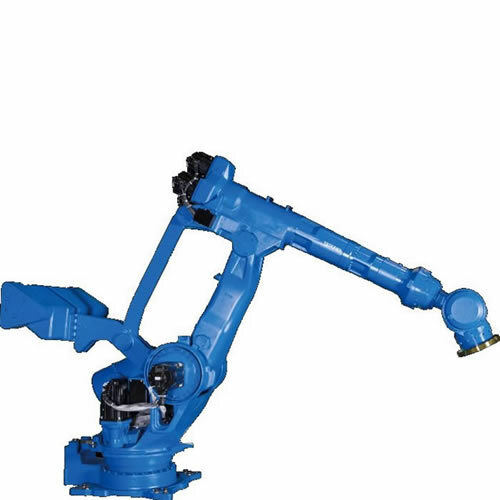 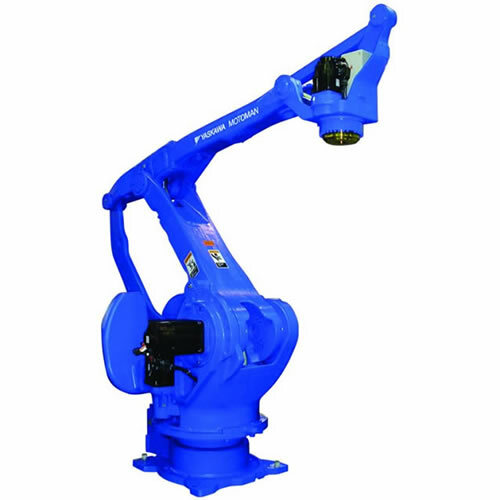 Our family of pick and place robot models includes serial-linked articulated arms with 5 or 6 degrees of freedom, delta-style parallel arms with 4 degrees of freedom, and SCARA style 4-degree of freedom arm. 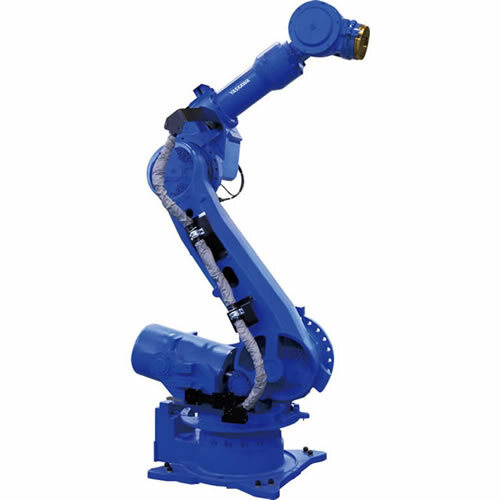 Applications in secondary packaging are vast and varied including but not limited to tray packing, tray handling, case packing, case erection and handling, bottle packing, shrink-wrapping, pouch handling and packing and so on. 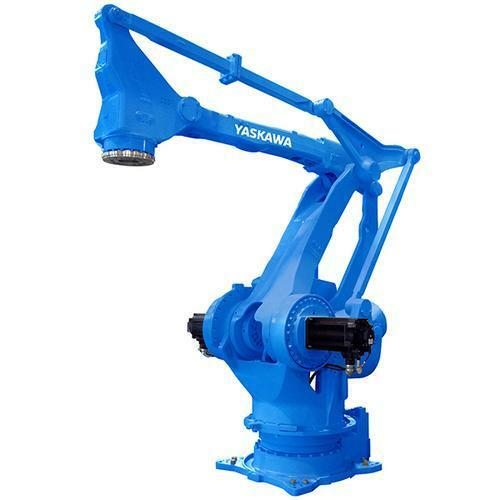 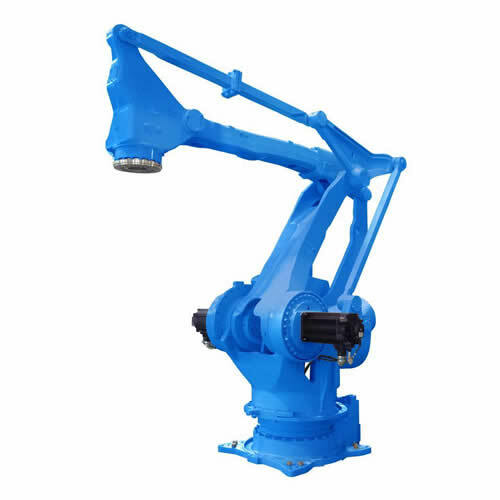 Depending on reach, payload and speed requirements, articulated arm robots ranging from 5kg to 50kg with 4-7 degrees of freedom could be employed with equal ease. 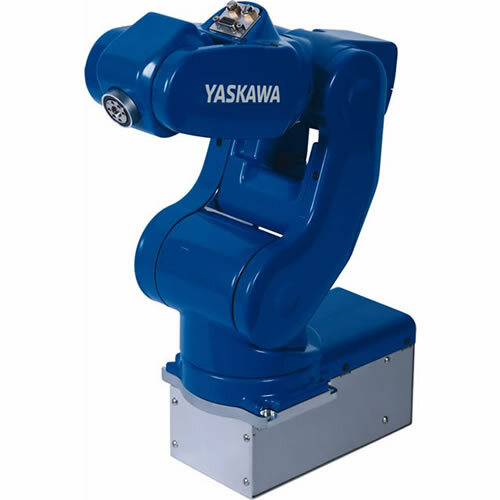 In addition to the application enabling technologies, Yaskawa offers value added technologies such as MotoSim EG VRC (Virtual Robot Controller) for offline programming, validation and testing.